Herbert Edwin Williams was born in Sydney to Alice Ann and Edward, one of seven siblings. His father died in 1906. 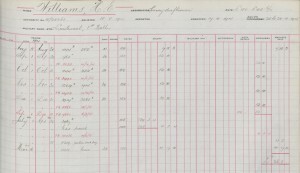 Herbert started work as a Cadet Draftsman in the Charting Branch of the Department of Mines on 14 September 1910 and by 1914, was working for the Sydney Harbour Trust as a Survey Draftsman for 30 shillings a week. 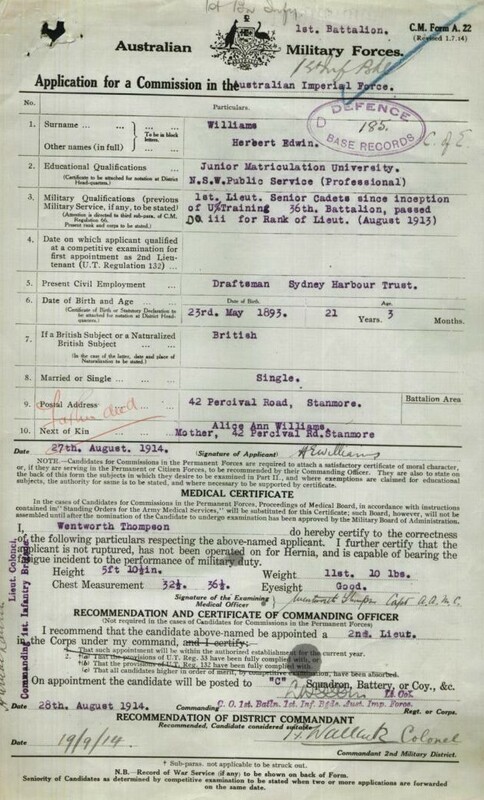 When the First World War broke out Herbert was already a 1st Lieutenant in the Senior Cadets and applied for a Commission in the Australian Imperial Force on 27 August 1914. 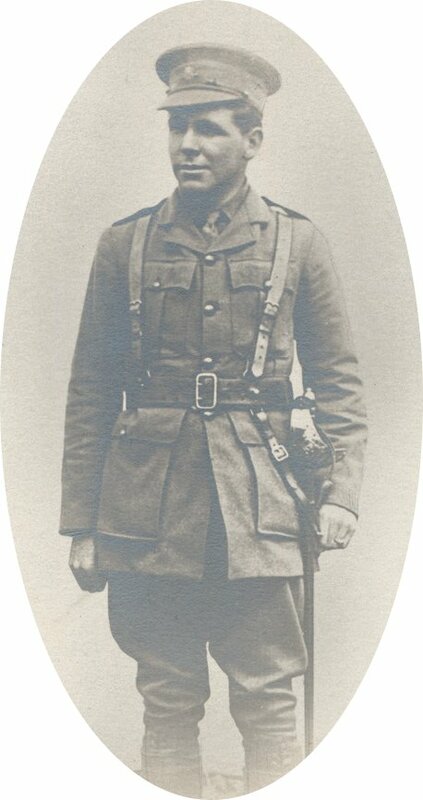 He became a 2nd Lieutenant in the 1 Infantry Battalion and embarked on board the HMAT Afric A19 from Sydney on 18 October 1914. Herbert was killed in action at Gallipoli on 25 April 1915 at the age of 21. Like many other Australians who were killed on the first days at Gallipoli, Herbert has no known grave and is commemorated on the Lone Pine Memorial. 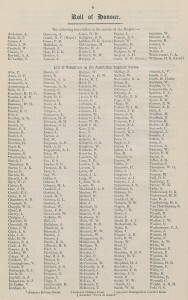 In Herbert’s service record it lists his effects at his death as: usual clothing items along with military books, French-English dictionary, V.P. camera and 6 films in a valise. This small glimpse into Herbert’s life can tell you several things: the dictionary shows that he believed they were off to France to fight; he had military books with him, perhaps to use for studying and strategy, which shows that he took his position as a 2nd Lieutenant seriously; and lastly, the camera and rolls of film remind you that he was just 21, going off on what he may have thought was an adventure to the other side of the world and he wanted to take some shots to send home. In fact, the Australian War Memorial has in its collection a photo of Herbert with Lt Philip Howell-Price. 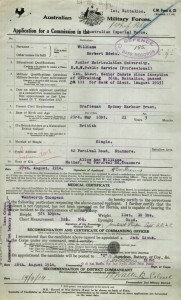 Herbert’s service record also contains a hand-written letter from his mother, Alice, in 1920, still awaiting the return of her son’s personal effects and her Mother’s Badge. Herbert received the 1914-15 Star, the British War Medal and the Victory Medal. 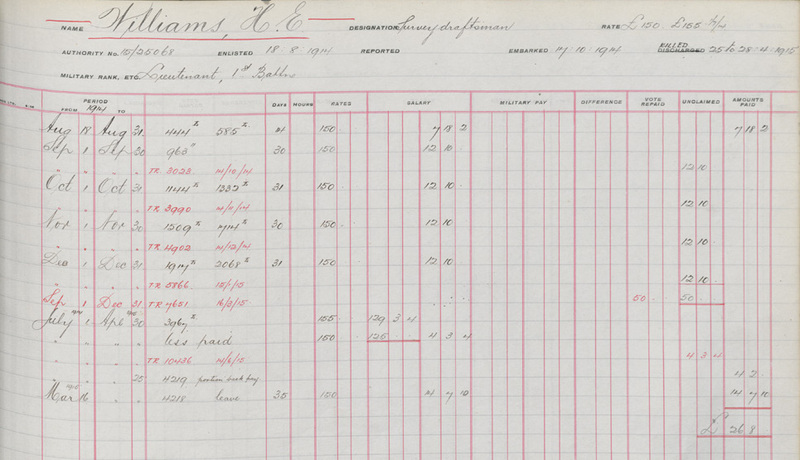 His service record also includes letters from Herbert’s siblings, George Williams and Olga Wilson. The minute books from the Sydney Harbour Trust Commissioners also contain a reference to Herbert (NRS 18715/1/1/14, p.1353). 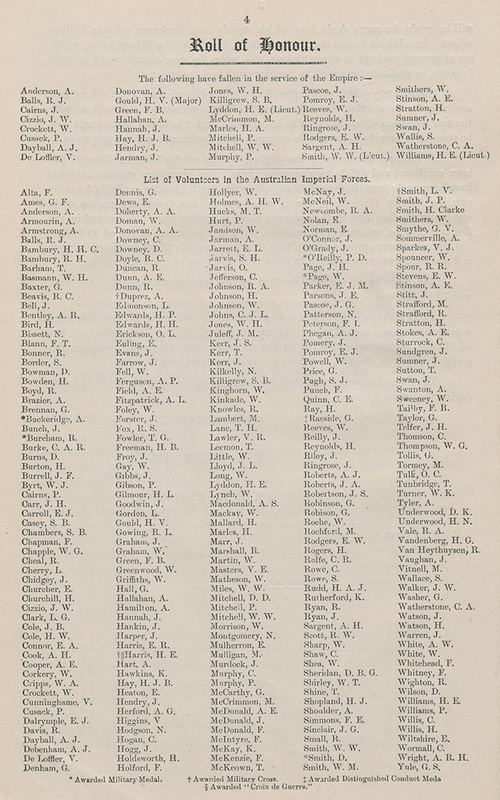 On 31 May 1915 the Commissioners agreed to pay out the remainder of leave owing to Herbert to his mother, Alice Williams. The correspondence attached to this request does not appear to have survived.